Elite Roofing Services provides metal roof coating systems and other cool roof options that can prolong the roof life of commercial buildings. The unforgiving climate we experience in the Riverview, Florida, area can take a toll on roofs, speeding the deterioration process. A cool roof system is designed to protect the building’s roof by reflecting the sun’s rays and increasing the roof’s resistance to water intrusion. This can help reduce roof maintenance costs. 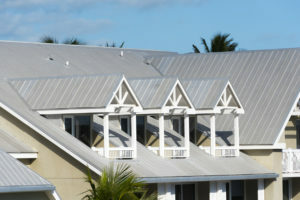 Once applied, cool roofs can lead to decreased roof temperatures. This can reduce the heat transfer between your roof and your building, lessening the strain on your HVAC system and potentially lowering your energy costs. Additionally, the extra protection against water intrusion that cool roofs provide can prevent mold and mildew growth and add years to your roof’s life. If you would like additional information about the metal roof coating systems we offer, as well as the other cool roofs we install, contact Elite Roofing Services today. We’d be happy to schedule a free consultation at your business in the Riverview, FL, area to discuss your roofing needs, as well as our preventative roof maintenance programs.